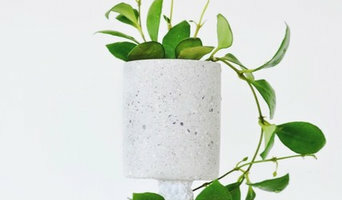 Botanical based artist from Geelong, Victoria who creates one-off handmade cement vessels for rare and unique plants - endlessly inspired by art, design and architecture. Our biggest aim is to induce individualism and personality; so that every piece is as unique as their owner. We are a newly launched brand selling Australian-themed art and homewares, in a style we call Pop Australiana. 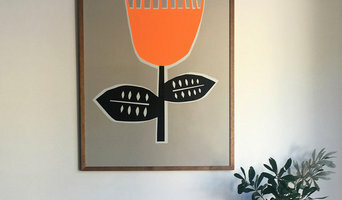 Think – Orla Kiely and Marimekko had an Australiana baby! Roofus is a fresh new brand reflecting the bold energy and spirit of the Australian landscape. My name is Bahman Vahab. I Carve Natural stone with hand and I been in this industry for more than 30 years. I have already a variety of sculptures and other kinds of stone decorative ready, so if you like the work give me a call so we can work on your stone decoration. 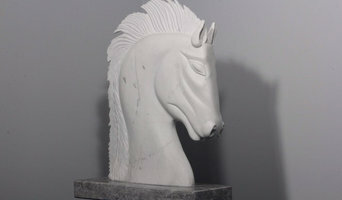 Sisko Designs is a creative studio that specialises in custom art pieces for every project both interior and exterior. This can include graphics, murals, interior decoration and styling for residential and commercial needs. I am a freelance Illustrator generally focussing on the beauty of natural forms. My work is a celebration of the unique intricate structures and vibrant colours in nature. I began illustrating from a young age and had endless inspiration around me, growing up in the Southern Highlands, NSW. My biologist/horticulturalist father encouraged me to spend time in nature and appreciate all of it’s wild, unsurpassed beauty. 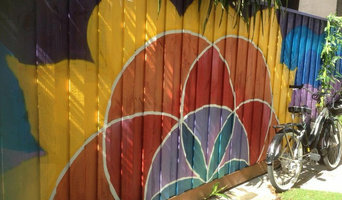 This led to a focus on the intricate detail, patterns and colours of flowers. I love the drama that is created by enlarging a flower’s complex structures, encouraging the viewer to appreciate this beauty.My love of Illustrating nature was further consolidated through my study of Natural History Illustration at Newcastle University and attending many life drawing classes. Past Exhibitions: 2013 and current: Milk Factory Gallery, Bowral, NSW. 2007: Blank Space. Surry Hills, NSW. 2005: Oxley College Art Show. Bowral, NSW. 2002-2005: Art and Picture works, Bowral, NSW. 2000: National Portrait Gallery, Canberra, ACT. Commissions: Vintage Cellars Press. Northcote Chiropractic, London, UK Choice Dental Yarraville, VIC Chatswood Retina, Chatswood, NSW .Northern Beaches Retina, Dee Why, NSW .Moss Vale High School, Moss Vale, NSW. Multiple private commissions. Artist Statement I have always felt drawn to the relationship between light and dark; the idea that the eyes can be calmed or excited by the placement of the tones and highlights excites me and is what I am trying to study and portray. Dark colours are fascinating to me as they feel like they have more complexity to be interpreted. I try and create a sense of movement and depth through the textures and sweeping brushstrokes. A textured base is a starting point, dark colours are painted first and then areas of highlights are incorporated to create a blended and pleasing end painting. Commissioned Artworks.......designed specifically to enhance your interior design. I offer art installations for home and business space. My art installations can be customized to fit client's requirements. These beautiful art installations can render colourful, artistic look to interior space. It can be that pop of art and colour that an Interior Designer needs for their clients. Whether you’re looking for a fun and functional piece, such as ceramics or pottery, or prefer murals and decorative painting, you’ll find many Geelong, Victoria artists, muralists and artisans on our Professional pages, ready to include you in a creative process that will result in a stylish and personality-filled home. There are a wide selection of Geelong, Victoria artisans listed on Houzz, including muralists, painters, ceramic artists, potters, ironworkers, photographers, sculpturalists, designers of decorative glass, metal wall art, abstract art, home accessories, and more. Even everyday items such as tableware, tiles, splashbacks, lampshades and bedheads can be handcrafted, painted or designed by an artisan. You will also find artisans who specialise in bespoke designs, as well as those who offer artwork consultancy. 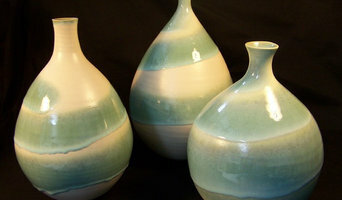 Find artists and craftsmen on Houzz. Peruse portfolios in the Professionals section to find abstract, traditional, and contemporary artists in Geelong, Victoria. Read reviews and contact artists directly to ask them more about their work.